According to one of the producers of Legend of Titan, the footage everyone saw was only meant as a demonstration. Yesterday, footage of a Chinese game called Legend of Titan emerged online. The game looked so much like Overwatch, from heroes, abilities, maps – pretty much a copy of the Blizzard game with worse graphics. It now seems the studio responsible for Legend of Titan isn’t actually making an Overwatch knock-off. The developer spoke with a Chinese news website to explain that it doesn’t intend to actually sell that game. 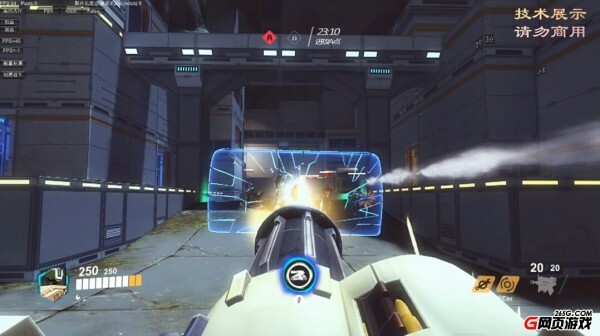 According to a translation on Reddit, the developer only used it to show off specific tech designed to create web-based and mobile games that are relatively complex, and used Overwatch as a proof of concept. The video was even captured at an industry/trade event not meant for the public. The studio is still working on Legend of Titan, however, but it will look a lot different than that, though it will still take some inspirations from it.